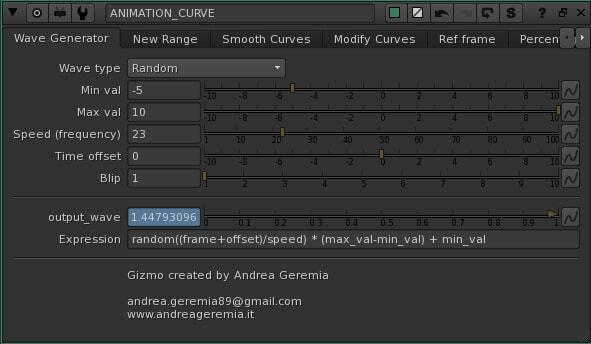 This is a short explanation about the Gizmo Animation Curve that you can find in Nukepedia at the link below. 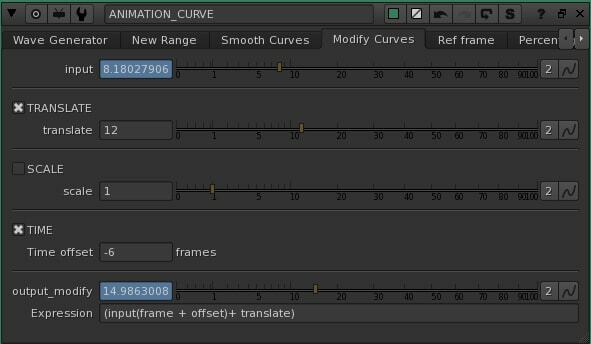 With this Gizmo you can modify the Animation and the Curves in Nuke. For example change the range of a curve, increase o reduce a percentage to the curve, smooth a curve, and so on. In this first Tab you can generate a Wave with different options. For of all, select the Type. Please, check all the available types. 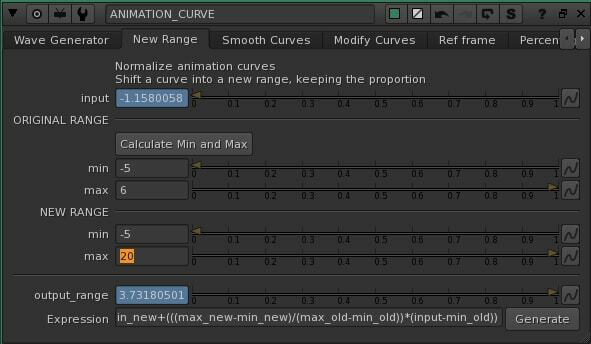 Here you can change the range of an Animation Curve. 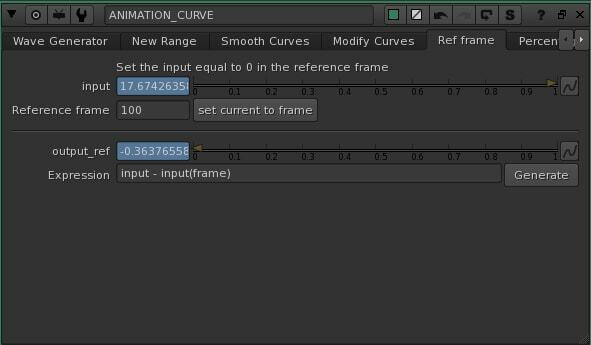 For example, if min and max values are -5 and 6, you can project all the curve in the new frame range -5 and 20. 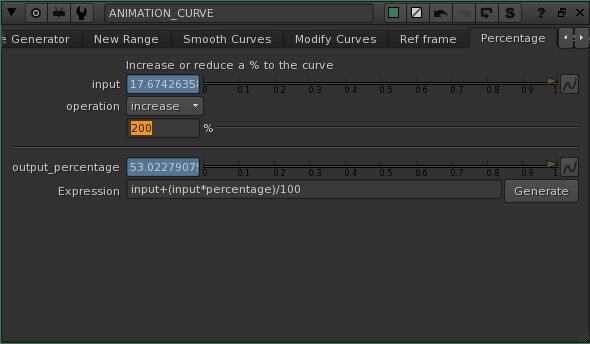 Drag and Drop your curve in the knob Input and use the button to find out the min and max value, then insert your new values and check in the Curve Editor your new curve. In blue, you can see the original curve and in yellow the new one. Smooth the curve with this tool. 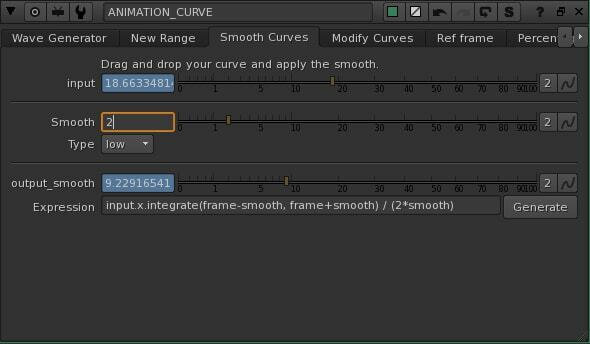 Insert your curve in the knob Input, select the Type (High or Low) and the power of the smooth. 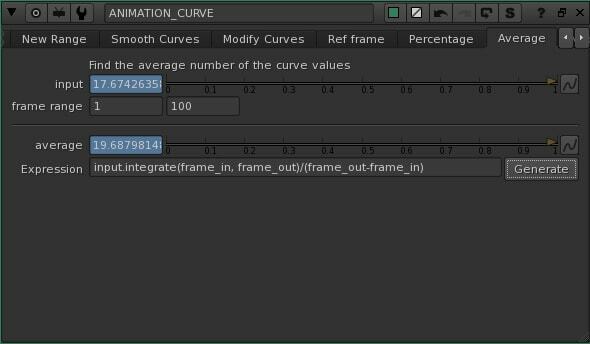 With this tool you can modify curves with: Translate, Scale and Time Offset. With the checkbox you can activate or not the modifiers. Here set a reference frame. What does it mean? 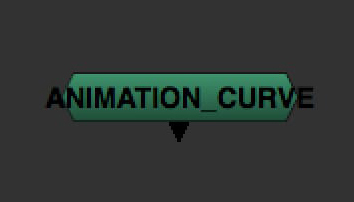 It means that your curve will be set to 0 in that frame. Basically it will be translated to 0 in the Reference Frame. Increase or Decrease the curve for a X percentage. This is a single value for the entire curve. It will return the average value for the curve.